In November 2013, I took my Day of Reflection at the Pine Hollow Arboretum in Slingerlands, NY. The Arboretum is only 5 miles from downtown Albany, but feels worlds away from the urban hustle and bustle of the state capital. It’s a peaceful place that allows for deep reflection and thought. I spent that day weaving through the trails, observing the plants waning in the late fall weather, and thinking to myself about the year ahead at PRA. I felt that 2014 was going to be a year full of new opportunities for both PRA and myself, and I knew the journey would be both challenging and exciting. 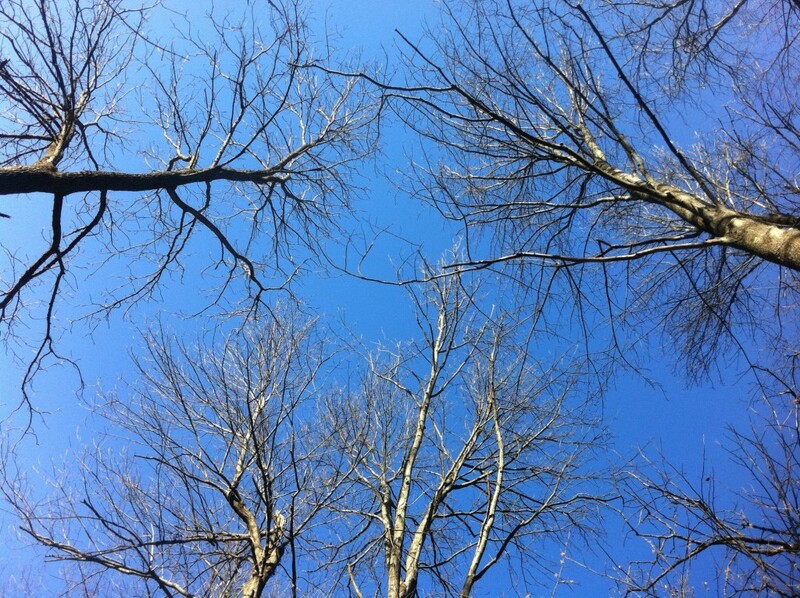 As I paused to organize my travel calendar for the year, I glanced up and was struck by the beauty of the winterized tree branches against the clear blue sky. I snapped a photograph to preserve the moment and continued on with my day of reflection activities. In January, I was notified that this photo of the branches was selected to be included in the Pine Hollow Arboretum’s 2015 calendar, which stimulated my thinking some more about the day of reflection I had at the Arboretum. What a wonderful benefit this Day of Reflection is. Conceived by Hank Steadman as a day that PRA employees could use once a year to reflect on their professional careers and the intersection of their personal lives with their professional lives, I’ve used the day for simple outings to museums and arboretums, collecting my thoughts on big picture issues in the next year. Everyone uses it a bit differently, but everyone seems to appreciate the yearly day of focus. For me, 2014 was a year of transitions, so there was much to reflect on. And as PRA continues to grow and shift in the face of new opportunities, I’ll be looking forward to discover what 2015 has in store for us…and using this year’s Day of Reflection wisely.